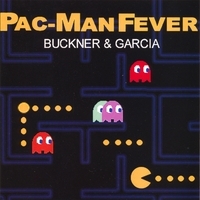 Struck by the emerging video game fad in 1981, (Jerry) Buckner and (Gary) Garcia recorded “Pac Man Fever” as a tribute to the popular video game and shopped it around to various major labels. All the companies turned it down but Arnie Geller heard something he liked and released it on his independent BGO records. The song became an instant hit after airing on a local morning show. After selling over 10,000 copies in a week CBS decided to release the record nationally in December 1981 and within a month requested a full album. Buckner and Garcia set about quickly learning every popular arcade game they could. The album was completed in just two weeks. A rush of media coverage followed and both the single and album were a major hit; "Pac-Man Fever" sold over two and one half million copies. Retro-fueled interest in early video games prompted the duo to re-record the Pac-Man Fever album in 1999 for its first release on CD. Currently the guys continue to perform live and have a new studio project set for release this year. These are only 2 minute snippets of each song, that's all I could find.